President Buhari has appealed to APC members in the House of Representatives to put aside their differences and resolve their issues before tomorrow's plenary session. 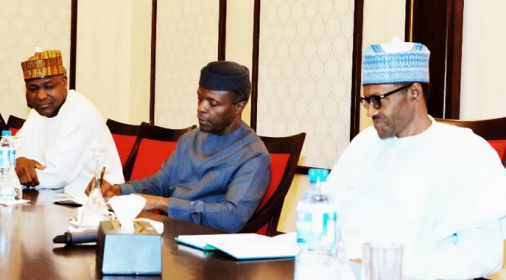 Speaking at a meeting which he convened earlier today, President Buhari insisted the party members in the lower chamber must respect the decision of the party regarding appointment of principal leaders in the house. A source at the meeting which lasted for just 20 minutes, told Premium Times that President Buhari asked the members to maintain party discipline and follow their party's directive.